From Atlanta's wealthiest suburbs to its stark inner-city housing projects, a killer has crossed the boundaries of wealth and race. And the people who are chasing him must cross those boundaries, too. 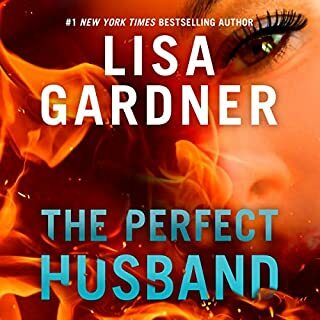 Among them is Michael Ormewood, a veteran detective whose marriage is hanging by a thread and whose arrogance and explosive temper are threatening his career. And Angie Polaski, a beautiful vice cop who was once Michael's lover before she became his enemy. 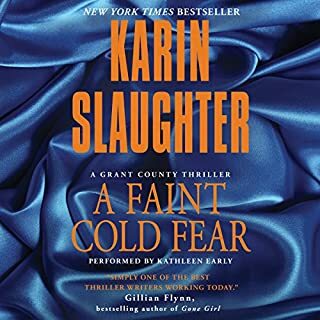 When Special Agent Will Trent arrives in Grant County, he finds a police department determined to protect its own and far too many unanswered questions about a prisoner’s death. He doesn’t understand why Officer Lena Adams is hiding secrets from him. He doesn’t understand her role in the death of Grant County’s popular police chief. He doesn’t understand why that man’s widow, Dr. Sara Linton, needs him now more than ever to help her crack this case. 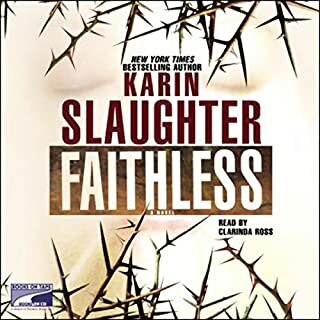 In her latest suspense masterpiece, Karin Slaughter weaves together moving, powerful human stories of characters as real as they are complex and unforgettable. 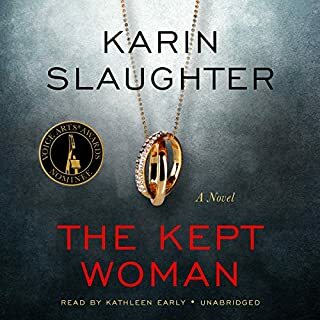 At the same time she has crafted a work of dazzling storytelling and spine-tingling mystery - as three people, with their own wounds and their own secrets, are all that stand between a madman and his next crime. Bill Black is a scary guy: a tall ex-con who rides to work on a Harley, and trails an air of violence wherever he goes. In Macon, Georgia, Bill has caught the eye of a wiry little drug dealer and his cunning girlfriend. They think Bill might be a useful ally. They don’t know that Bill is a Georgia Bureau of Investigation agent named Will Trent. 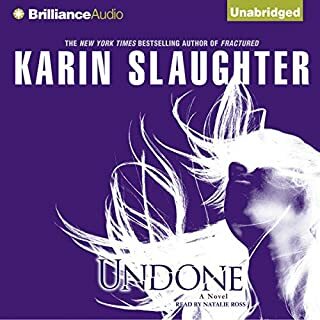 Or that he is fighting his own demons, undercover and cut off from the support of Sara Linton - the woman he loves, who he dares not tell he is putting himself at such risk. It's the most dangerous case of Will Trent's career. He knows this from the moment he sets foot in the abandoned Atlanta warehouse where a body lies on the floor - the body of an ex-cop. Bloody footprints leading away from the scene reveal that another victim, evidently a woman, was carried away and has vanished into thin air. And, worst of all, the warehouse belongs to the city's biggest and most high-profile athlete - a local hero protected by the world's most expensive lawyers. The victim was buried alive in the Georgia woods, then killed in a horrifying fashion. 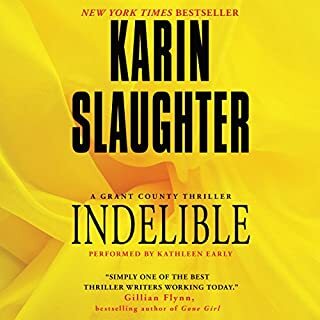 When Sara Linton and Jeffrey Tolliver stumble upon the body, both become consumed with finding out who killed the pretty, impeccably dressed young woman. 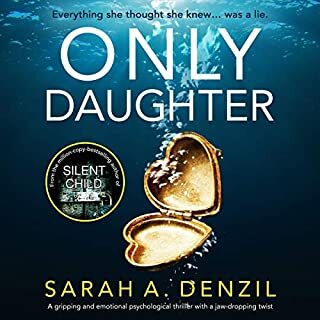 And for Sara and Jeffrey, a harrowing journey begins, one that will test their own turbulent relationship and draw dozens of lives into the case. Will Trent, a dedicated agent with the Georgia Bureau of Investigation for 15 years, knows that there’s definitely such a thing as a cop’s intuition - which is why he should have listened to his own. While in a restroom at Hartsfield-Jackson Atlanta International Airport, Will overhears a girl’s pleading, plaintive voice: "Please, I wanna go home." Something isn’t right here, thinks Will. He feels it in his gut. But he waits too long to act, and now the girl and the anxious, angry man she’s with have disappeared into the crowds at the busiest passenger airport in the world. Detective Lena Adams is the only suspect in a murder in Georgia. One hundred miles away, Police Chief Jeffrey Tolliver finds out that his young detective has been arrested. Jeffrey's wife Sara has no patience for Lena or her dramas. Fighting a malpractice suit, the last thing Sara needs is to see Jeffrey playing Lena's knight in shining armor. Lena has leapt into an underground world of bigotry and rage. Detective Will Trent is standing in a Georgia convenience store, waiting on an obstinate ICEE frozen-drink machine. To the surveillance cameras and bored staff of the Lil' Dixie Gas-n-Go, however, Will appears to besome one very different - the menacing ex-con Bill Black. Going undercover as Bill, the Georgia Bureau of Investigation agent is about to infiltrate the most corrupt town in the most corrupt county in the new American South. But first: his ICEE. 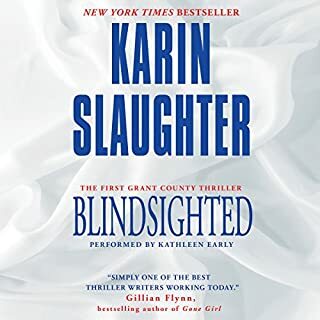 In Karin Slaughter's exciting new thriller, an officer is shot point-blank in the Grant County police station and police chief Jeffrey Tolliver is wounded, setting off a terrifying hostage situation with medical examiner Sara Linton at the center. 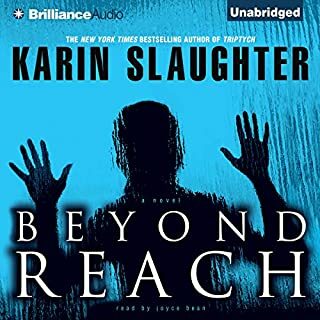 Working outside the station, Lena Adams, newly reinstated to the force, and Frank Wallace, Jeffrey's second in command, must try to piece together who the shooter is and how to rescue their friends before Jeffrey dies. A small Georgia town erupts in panic when a young college professor is found brutally mutilated in the local diner. But it's only when town pediatrician and coroner Sara Linton does the autopsy that the full extent of the killer's twisted work becomes clear. 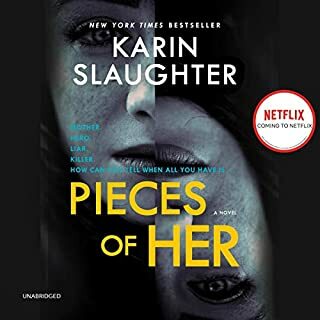 Sara's ex-husband, police chief Jeffrey Tolliver, leads the investigation - a trail of terror that grows increasingly macabre when another local woman is found crucified a few days later. An apparent student suicide has brought medical examiner Sara Linton to the local college campus, along with her ex-husband, police chief Jeffrey Tolliver. But a horribly mutilated corpse yields up few answers. 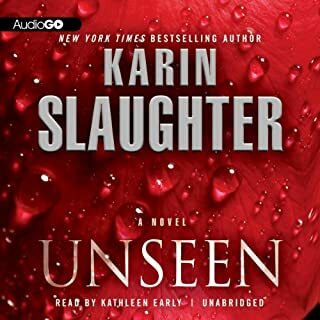 And a suspicious rash of subsequent "suicides" suggests that a different kind of terror is stalking the youth of Heartsdale, Georgia - a nightmare that is coming to prey on Sara Linton's loved ones. Saturday night dates at the skating rink have been a tradition in the small southern town of Heartsdale for as long as anyone can remember, but when a teenage quarrel explodes into a deadly shoot-out, Sara Linton - the town's pediatrician and medical examiner - finds herself entangled in a terrible tragedy. 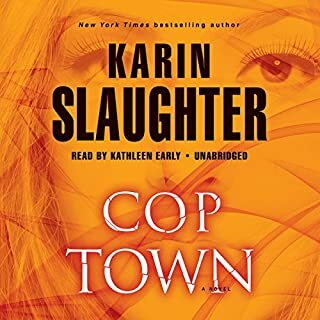 Atlanta, 1974: It's Kate Murphy's first day on the job, and the Atlanta Police Department is seething after the murder of an officer. Before the day has barely begun, she already suspects she's not cut out to be a cop. Her male uniform is too big, she can't handle a gun, and she's rapidly learning that the APD is hardly a place that welcomes women. Worse still, in the ensuing manhunt she'll be partnered with Maggie Lawson, a cop with her own ax to grind. With its gracious homes and tree-lined streets, Ansley Park is one of Atlanta’s most desirable neighborhoods. But in one gleaming mansion, in a teenager’s lavish bedroom, a girl has been savagely murdered. And in the hallway, her horrified mother stands amid shattered glass, having killed her daughter’s attacker with her bare hands. Detective Will Trent of the Georgia Bureau of Investigation is here only to do a political favor; the murder site belongs to the Atlanta police. 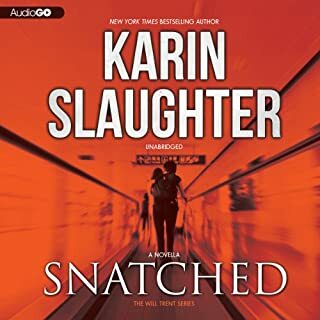 But Trent soon sees something the cops are missing, something in the trail of blood, in a matrix of forensic evidence, and in the eyes of the shell-shocked mother. Within minutes, Trent is taking over the case - and adding another one to it. He is sure another teenage girl is missing and that a killer is on the loose. 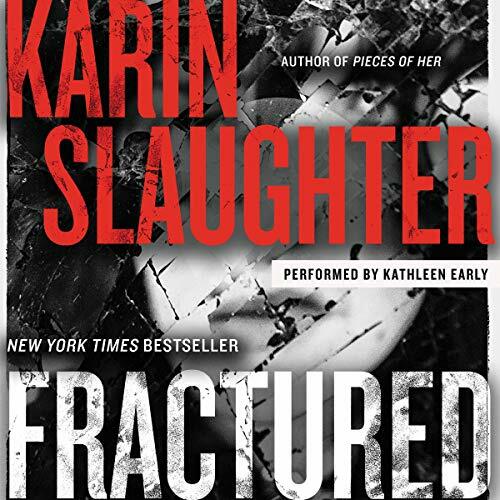 Armed with only fleeting clues, teamed with a female cop who has her own personal reasons for hating him, Trent has enemies all around him - and a gnawing feeling that this case, which started in the best of homes, is cutting quick and deep through the ruins of perfect lives broken wide open: where human demons emerge with a vengeance. 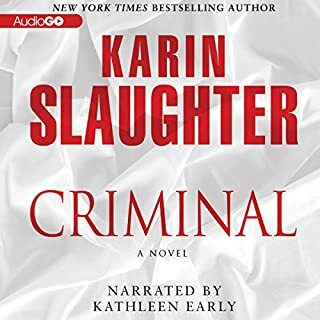 I am never disappointed by Slaughter and Kathleen early is an absolute treasure. I wish she were the narrator of every book I purchased. I am a Mississippi native who now resides in Georgia so, I appreciate someone who can mimic a Southern accent and its charm without making us all sound like idiots. Slaughter's depiction of southern heat makes it obvious that she has spent a good amount of time in Georgia. Words of wisdom to Kathleen Houston county is pronounced House- ton and Albany is Al-binny, just a heads up I case you ever get thrown one of those curve balls. Great performance from narrator Ms Early. I do listen at 1.25x speed to match the author’s intent. I listened to this story narrated by Phil Gigante, years ago and he did a good job, but this version is so much better. Not sure if it was because this book did not have the horrific terror e.g. 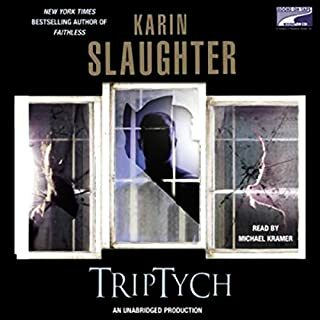 Undone and TripTych which kept me up at nights or the fact that Ms Early has all the character voices down spot on. My fave, Amanda when she toughens Will up! 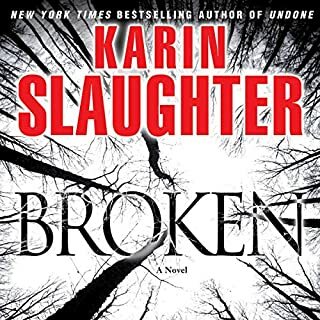 Don’t get me wrong, I like this author as she is GOOD and she has subtle humor not to be missed, but I in a few of her books, named above, I was so scared after listening to the good story, I had to stop buying her books. This book, has none of that sleepless terror! 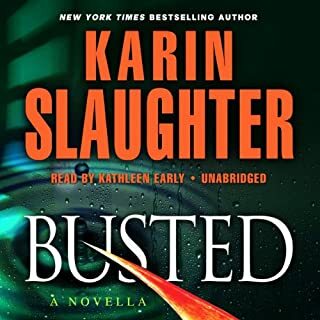 If you read out of order like I do, then go back and buy an earlier book, you will get AH HA moments, which reminds us that this author plots out her stories far in advance, eg #2, 5, 6 which are very much tied together. All 3 are great stories not to be missed. If you want to be entertained by a good author, then these 3 books will do the trick. How do they not know and ensure that real Atlanta places are pronounced properly? The mispronunciation of Dekalb in this book (and a different mispronunciation in Triptych) is maddening. Great book with a lot o legal accuracy. I am out to find the underground tunnel! it's cool watching the growth and progression of the characters as the story moves on. The author keeps you guessing about the plot and paints a vivid picture. the narrator does a great job telling the story with feeling and meaning. 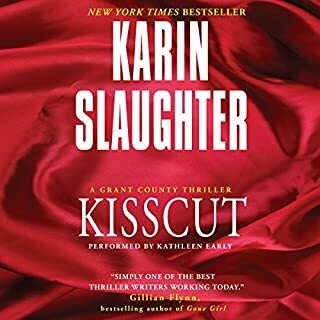 I have read the Grant County series and Will Trent series for years but only within the last year or so began listening and it has added so much more to the experience and Kathleen Early is hands down the best Narrator I have ever listened to. She IS the characters! I am obsessed! My newest favorite writer and the skills of the narrator in bring the words to life are unsurpassed! Much Easier to Listen too. This book was so much easier to listen to. Not nearly so much profanity.... Enjoyed the book and now feel I will listen to the next one. Thank Karin for leaving out unnecessary profanity. It did not help the story line. I really have loved getting into these characters. Can't wait to read the next one.